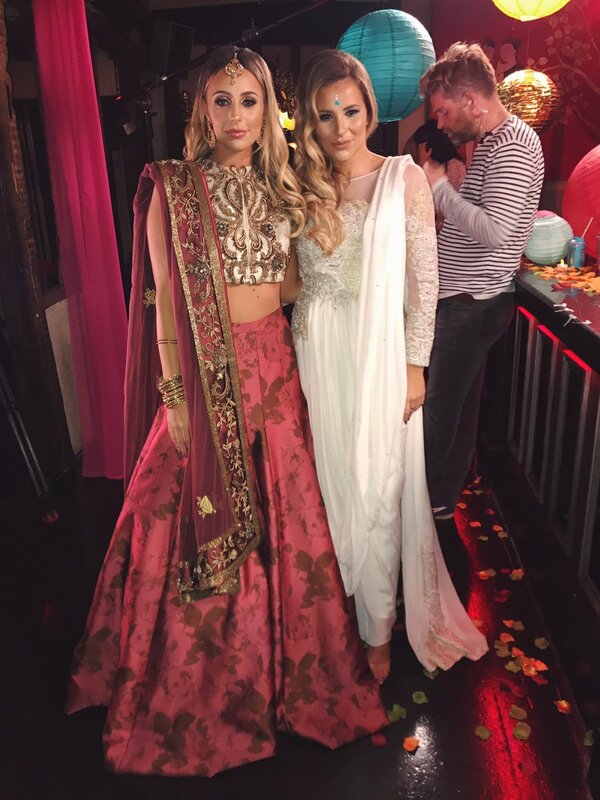 We recently had the pleasure of creating a Diwali themed party for ITV's TOWIE. It was a brief we absolutely loved because it enabled us to indulge our colourful side with vivid materials, decadent textures and plenty of added sparkle! 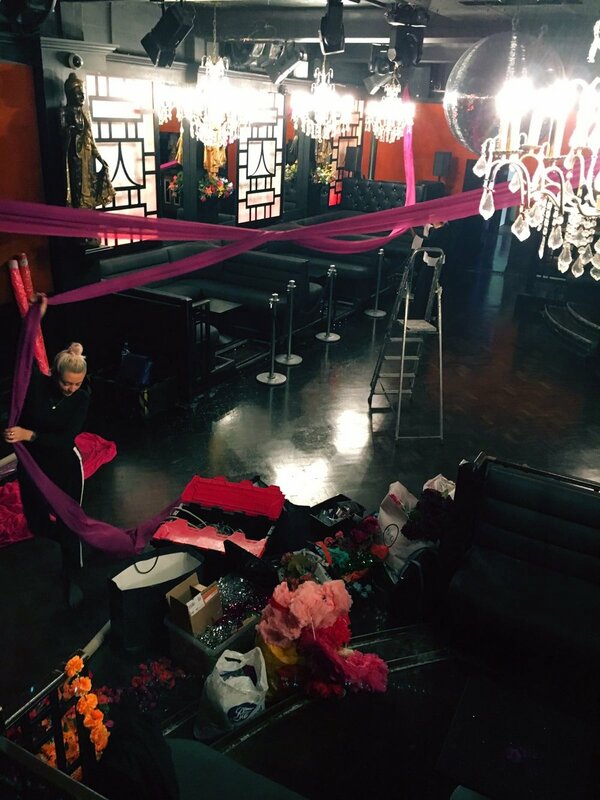 Over 600 metres of coloured lightweight chiffon instantly transformed the space; adding rich colour, texture and depth. Paper and glass lanterns were hung from various heights, adding further pops of colour, and the twinkling of candlelight glowed throughout. Garlands and clusters of beautiful faux flowers (borrowed with thanks from Berrys & Grey) created further texture and theatre. 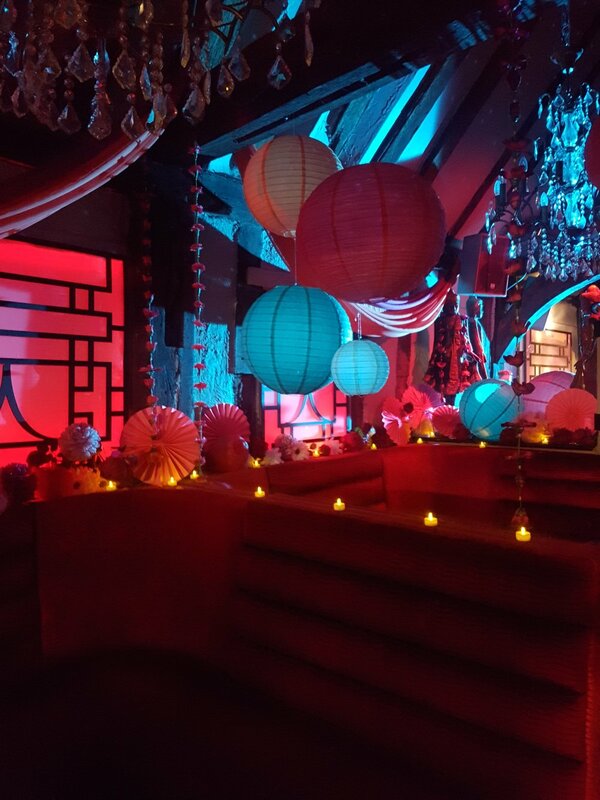 Other touches included jewelled buddhas, gold paper fans, painted coloured vases and over 10,000 faux rose petals scattered over surfaces and floors. And the finishing touch was the cast themselves in their stunning Diwali costumes. 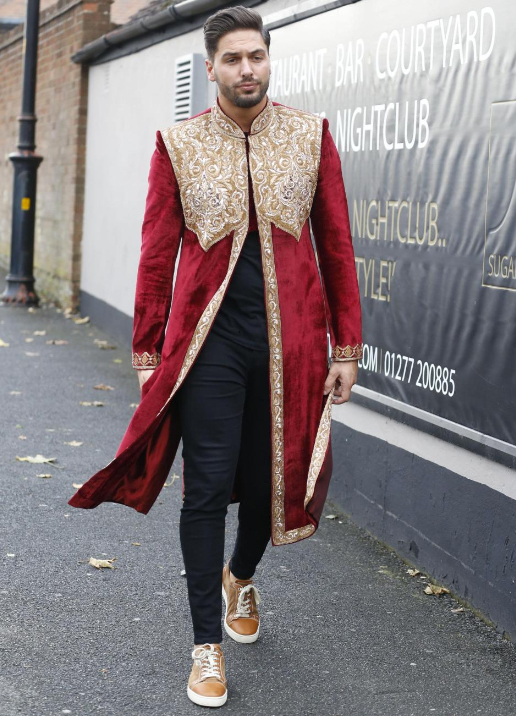 Watch the TOWIE Diwali Party episode on ITV here. With special thanks to Lime Pictures.